Time to Buy Cobalt Again? This time last year, cobalt was the hottest metal on the planet. It was everywhere. You couldn’t go a day without reading about cobalt in the financial news. Now? Nothing. You barely hear about it, if ever. What happened? Well, much of the financial chatter centred on cobalt prices. 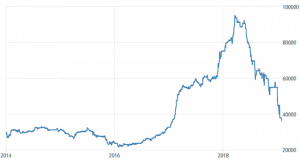 Back in March 2018, the price of cobalt reached an all-time high of $95,000 per metric tonne. Prices had increased nearly 300% over the previous 24 months. See, lithium-ion batteries aren’t simply hunks of lithium. 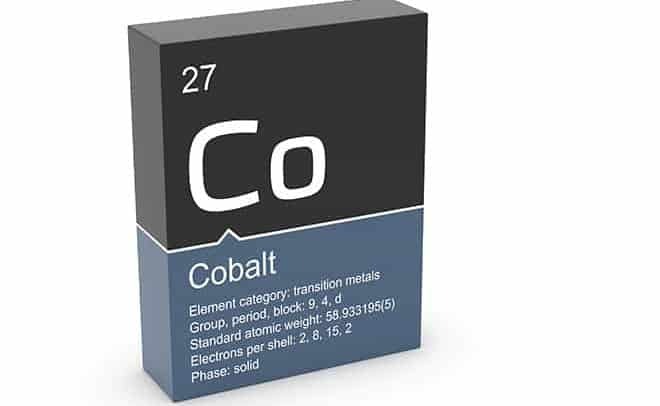 There are other key metals required to produce them, and one of those vital metals is cobalt. Well, rechargeable lithium-ion batteries are named for their active ingredients. 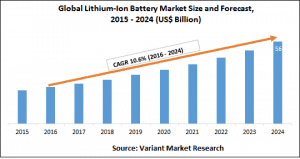 Inside each is a lithium compound that acts as the battery’s cathode material. The most common lithium compound used today is lithium cobalt oxide, or LiCoO2. Skipping the chemistry lesson, the cobalt in a rechargeable Li-cobalt battery is what makes the battery rechargeable. And that’s pretty important. Now, unless you live under a rock, you know we need lithium-ion batteries for almost everything these days. They’re in electric vehicles, smartphones, laptops, power tools… you name it. If it has a battery, it’s probably a lithium-ion battery. That means we’re going to need a lot of cobalt. But here’s the thing: There aren’t enough cobalt mines in the world to meet demand. So we’re going to either have to find new cobalt mines or increase production at existing facilities. But both of those are going to be a problem. See, cobalt isn’t necessarily rare. What’s rare are economically feasible cobalt mines. In other words, there is plenty of cobalt on Earth. But it’s not concentrated in enough areas that make it economically feasible to mine to meet the world’s demand. And as it turns out, the majority of the world’s cobalt is located in one of the worst places to mine anything: the Democratic Republic of the Congo. Over 50% of the world’s cobalt resources are located in the DRC. And currently, the DRC accounts for over 50% of global production of cobalt. On top of that, the DRC cobalt industry is still under harsh scrutiny for child labor and human rights violations. It’s a royal mess. And that’s what many folks were thinking when they pushed prices up to nearly $100K per tonne. As you’ve seen, the price of cobalt has pulled back quite a bit. That’s why we think the pullback (and general lack of hype surrounding cobalt right now) makes it a great time for new investors to open cobalt positions and for existing investors to double down.